deathroads are situated on. the alignments are (almost) always situated on leylines. with this their alignments) on. it is a specific type of energylines! · Energylines = name for the collection of all types of energylines, like leylines, hartmannlines, currylines, and so on. · Geopathic stress = name for the energies that can harm the health of humans. Leylines and other energylines are paths of energy that run through the landscape. They transport energy around the planet. All these energylines lie on the surface of the earth, and not in the ground. Leylines are a specific kind of energylines. Besides leylines many other energylines do exist, like for example hartmannlines, currylines, and benkerlines. Every type of energylines forms an own network around the planet. The several types of energylines can be divided in two main types. On the one hand you have rasternetworks (grids). This type has energylines that form together a many squares. This normally means that the energylines are parallel to each other with equal space between them, and at right angles also parallel energylines with equal space between. Because of various influences, anomalies can be found in this rasterpattern. On the other hand you have so-called free networks. These are networks with energylines that aren't in a raster, but of which the energylines can flow in every direction. Besides energylines, which are usually dead straight through the landscape, also other energies exist which can be lumped together under energyforms. Here below is a diagram with the different energylines and energyforms. It seems to be a long list of energylines and energyforms, but it isn't. With geopathic stress people look for several energies, and you can find all of these energies when you dowse for energies. But when you visit sacred sites and powerplaces, and look for energies which our ancestors paid attention to, only a small number is important. They always watched the leylines, and with the megalithic structures also benkerlines. Further they also used waterveins, spirals and magic circles as protection. In the future, more information will follow about the specific energylines and energyforms. 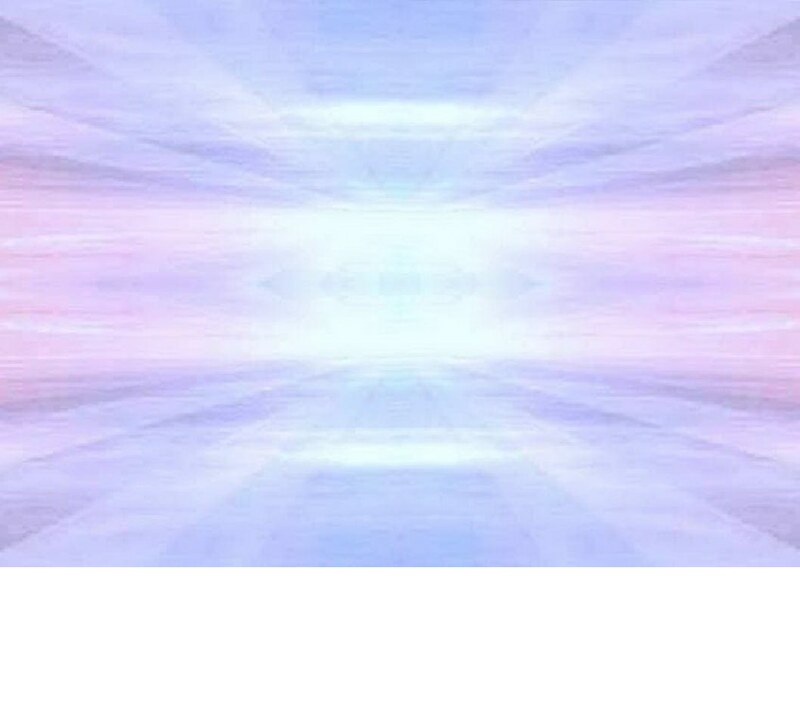 · Cosmic or earthly energylines? If you have a question, which isn't answered on this page or elsewhere on the website, please let us know! You can also watch the page where frquently asked questions are answered, see Frequently asked questions. There you can also ask your question(s)!! Leylines and other energylines are paths of energy that run through our landscape. These paths of energy stream in a certain direction, which can be different for each energyline. These energylines are (almost) always dead straight, and can have a length of thousands of kilometres/miles. The size of the different energylines vary from 10 centimetres to sometimes more than 10 metres wide. The energylines lie on the surface of the planet, and the energy of a line isn't as strong as everywhere. This can be different in time, be different for another line, and it can be different for the spot on a line. The energylines react in strength, just like the sea with low and high tide, to the moon and other cosmic influences. The several types of energylines are different from each other because of the different characteristics and qualities they have, they each have an own character. Leylines have for example the characteristic of power, that's why they are also called powerlines with powerplaces. All lines are male or female and positive (pleasant for humans) or negative (unpleasant), and all have there own specific qualities. People can influence parts of lines, that these parts are different in energy than they where originally. Also neutral lines do exist. Most leylines and crosspoints are positive. They can become negative because of human influence, like human sacrifices, murder, and battles. On many many places on this planet energylines (from the same kind) cross each other. These crossing-points are called energycentres, which are mostly only small. Also most crossings of leylines are weak and small. But every region has a number of strong crossings too. These leycentres are some kind of traffic junctions of energy. Several lines come together on points, and on these places a concentration of energy is present, a powerplace or a powercentre. These powerplaces are energetic powerpoints where several powerlines come together. These powerplaces are seen as sacred sites. With positive leycentres there is a forcefield full of energy, that can give you inspiration, cure, and miracles. For the transfer of information energy is needed, this explains the inspiration, after all there lots of is energy. Because of the extra energy on these special places, it also occurs that lightphenomena are seen near leycentres. Examples of these light phenomena are a dolmen near Loon in the Netherlands, and the monastery of Aduard (prov. Groningen). The monastery is built here because of these lightphenomena. In history, many people built sanctuaries for devotion or sacrificing. They chose a leycentre for their sacred sites. The reason why people did choose leycentres is because of much energy that is present on these places. Here they tried to get in contact with the gods and worship them on these sacred sites. Examples of these sacred sites are for example the pyramids of Egypt, Stonehenge and Avebury-henge in England, dolmens, menhirs, stone circles, burial mounds, and other sacred sites around the world. And so many sacred sites are used by our ancestors. And also the churches and cathedrals, which have been built in early Christian ages (before 1350) on a crossing of leylines. Besides the usage of people to situate sacred sites on the crossings of leylines, people used them also to build castles on. They leylines themselves have been used in other ways too. In Roman ages, it was a habit to lay long straight roads on leylines. In this way, the men got extra energy and power to make long (walking) tours. In early Christian ages deathroads and corpseroads were laid on leylines, over what the dead person had to be carried to the graveyard and/or church. Because leylines connect sacred sites with each other, leylines are also called 'sacred lines'. The number of leylines around the is very large, huge! Most of these leylines are very weak, and very narrow (10/20 cm). Because of this large quantity almost everyone within a few metres you can find a leyline (2/3 within each 10 metres). It is almost impossible to map every leyline in a region, province or country. So maps of leylines are rare. But a part of the strong and very strong leylines is investigated. In the Netherlands and Belgium this is for example the leyline Stonehenge - Externsteine. More information about strong and very strong leylines see the page Strong leylines. Strong leylines are mostly a metre wide and higher than a metre, but differences are possible. -Treelines: several trees that are in extension with each other on a leyline. -Churchlines: several churches that are in extension with each other on a leyline. -Lines with names of saints: in the province East-Flanders in Belgium four Saint-Martinus churches lie on one leyline. In the east of the province North-Brabant in The Netherlands five Saint-Lambertus churches lie on one leyline. These leylines can be named Martinusline and Lambertusline. In the beginning of the twentieth century Alfred Watkins discovered leylines in England. In a vision he saw these lines run through the landscape, they ran through several places; menhirs, dolmens, stonecircles, churches, monasteries, castles, and other buildings. With his research to these lines he did find several places with the word Ley in it, he thought that it meant protection or lee (shelter). Because of this he called the lines "ley lines". The length of leylines can be very long. There are lines that are hundreds of kilometres long, but there are much more leylines that are only a couple of kilometres long. So far we know, every leyline has a start and an end. How far the rasterline do run is unknown. When you try to find a start or an end of a leyline you will notice that it suddenly will start or end. At such a place lies a magic square, which takes care of the supply and drainage of the energy. There are also magic squares elsewhere on an energyline which freshen the energy. Every type of energylines has its own magic squares which connect the energylines with an other planet, by which is energy exchanged with. Sometimes it does occur that a leyline "isn't there for the moment'. The explanation for this is interrupted leyline is not that it is interrupted, the energy can't just end somewhere, and begin farther on again. A leyline can make a bend in the sky. It is known that the church didn't want strange and mysterious phenomena did exist in for example farmhouses. When a leyline did cross through the farmhouse, the priest let the leyline run over the house in stead of through it (or he let do this). When harmful lines are discovered in a house, and that these are blocked (=stopped) by a device that is used to suppress the energy, the energy has to stay somewhere. It isn't known how the energy is reacting on this. When a leyline or other energyline crosses a sea or other water, the energyline will follow the bottom of the sea or other water. The energy normally doesn't follow the sea level. There are exceptions for this rule. At special places and where human activity is present, these energylines can react different. The places with human activity are for example an oil platform. But the general rule is that the energylines follow the bottom of the sea or the bottom of other waters. Many people think that leylines exist of cosmic energies. Geopathic stress would exist of earthly energies. Both the leylines as the energylines that are called geopathic stress, consist both of as well cosmic as earthly energy. When energylines cross a magic square energy is drained off, and cosmic energy is added. When the energylines flow through the landscape, they emanate energy, and take in some energy. The flora and fauna get with the emanation extra energy. In this way a mixture comes into being of cosmic and earthly energies. Round the earth are several networks, also called nets or grids. A huge part of the networks are rasternetworks. A rasternetwork implies that after some length another energyline of the same kind is lying there, that is parallel to the next and previous energylines. But it are rasternetworks, a raster implies that on these energylines another energylines from the same kind are standing right-angled. Also here after some length another energyline of the same kind is lying. An example of such a rasternetwork is the hartmannnetwork. The energylines of this network are positioned almost north - south, and east - west. An example of another rasternetwork is the currynetwork. This network is a diagonal grid, because the currylines lie north-east - south-west, and north-west - south-east. The left picture below is from the hartmannnetwork, and the picture at the right is from the currynetwork. Which direction the energylines flow is different for each raster-network, and might be different for each energyline of a network. The energylines normally run straight as an arrow across the landscape. The networks often have distortions, caused by people, but the grids normally lie right-angled across the surface of our planet. The leylines and other energylines lie for thousands of years round our planet, they are the Ancient Energies of the Earth. The origin of the energylines is not clear. About how they came into being are several theories about. -One thought is that the leylines came into being when our planet came into being. But what happened exactly with the creation of our planet is not known. A mystery solved with another mystery, with this theory the creation of the energylines stays shroud in mystery. - Another explanation for the creation of the energylines is that the lines have been created by beings with consciousness, like humans, but in the remote past. The system of the several networks is a dynamical system. With some doings energylines can become different from what they were. With some doings energylines can be strengthened, but also created. This is why the last explanation has our preference.